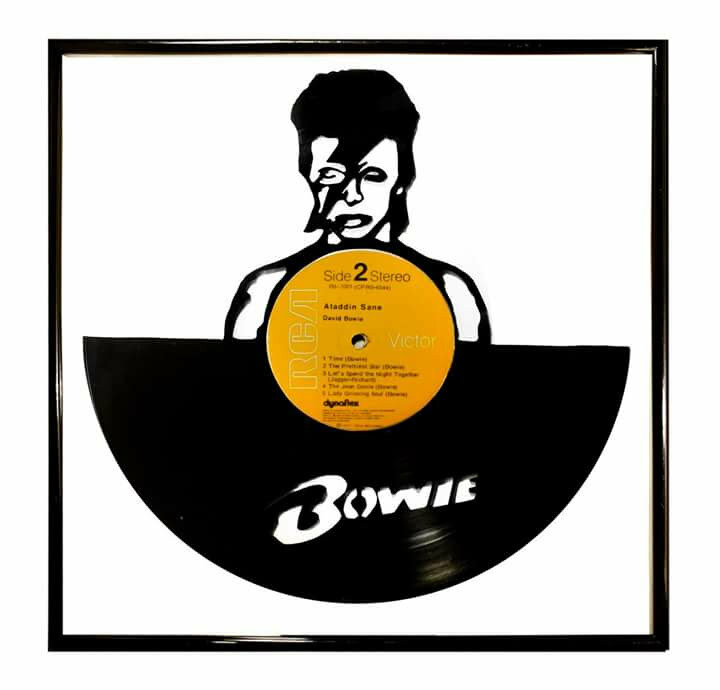 David Bowie portrait on vinyl record. The image it was draw and cut out of a old vinyl record. The art work is ready to hang on the wall in a glass window frame.